Yesterday we explained that one of the reasons why Deutsche Bank stock had tumbled to the lowest level since 2016, is because its top shareholder, China's largest and most distressed conglomerate, HNA Group, had reportedly defaulted on a wealth management product sold on Phoenix Finance according to the local press reports. While HNA's critical liquidity troubles have been duly noted here and have been widely known, the fact that the company was on the verge (or beyond) of default, and would be forced to liquidate its assets imminently, is what sparked the selling cascade in Deutsche Bank shares, as investors scrambled to frontrun the selling of the German lender which is one of HNA's biggest investments. Now, one day later, we find that while Deutsche Bank may be spared for now - if not for long - billions in US real estate will not be, and in a scene right out of the Wall Street movie Margin Call, HNA has decided to be if not smartest, nor cheat, it will be the first, and has begun its firesale of US properties. According to Bloomberg, HNA is marketing commercial properties in New York, Chicago, San Francisco and Minneapolis valued at a total of $4 billion as the indebted Chinese conglomerate seeks to stave off a liquidity crunch. The marketing document lists six office properties that are 94.1% leased, and one New York hotel, the 165-room Cassa, with a total value of $4 billion. 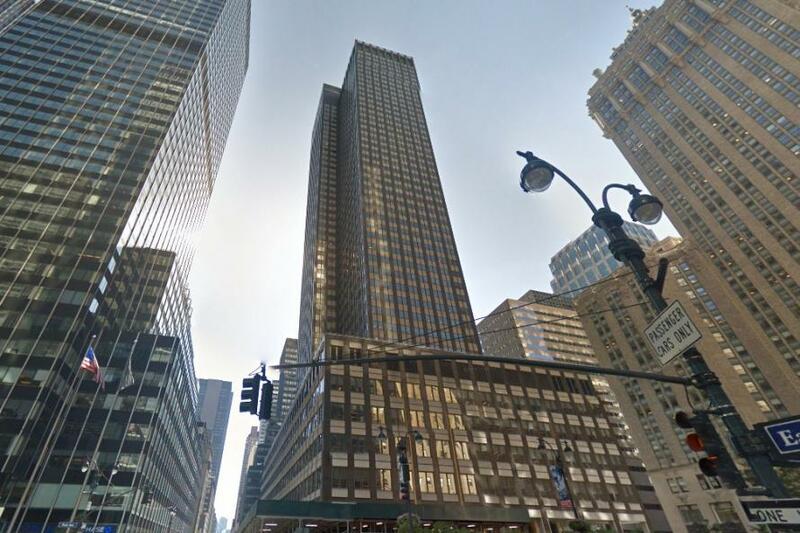 One of the flagship properties on the block is the landmark office building at 245 Park Ave., according to a marketing document seen by Bloomberg. HNA bought that skyscraper less than a year ago for $2.21 billion, one of the highest prices ever paid for a New York office building. The company also is looking to sell 850 Third Ave. in Manhattan and 123 Mission St. in San Francisco, according to the document. The properties are being marketed by an affiliate of brokerage HFF. This is just the beginning as HNA’s massive debtload - which if recent Chinese reports are accurate the company has started defaulting on - is driving the company to sell assets worldwide. According to Real Capital Analytics estimates, HNA owns more than $14 billion in real estate properties globally. The problem is that the company has a lot more more debt. As of the end of June, HNA had 185.2 billion yuan ($29.3 billion) of short-term debt -- more than its cash and earnings can cover. The company's total debt is nearly 600 billion yuan or just under US$100 billion. Which means that the HNA firesale is just beginning, and once the company sells the liquid real estate, it will move on to everything else, including its stake in all these companies, whose shares it has already pledged as collateral. So keep a close eye on Deutsche Bank stock: while HNA may have promised John Cryan it won't sell any time soon, companies tend to quickly change their mind when bankruptcy court beckons. Finally, the far bigger question is whether the launch of HNA's firesale will present a tipping point in the US commercial (or residential) real estate market. After all, when what until recently was one of the biggest marginal buyers becomes a seller, it's usually time to get out and wait for the bottom.